What makes a memorable basketball season? A championship, sure. A lengthy postseason run helps. The 2018-19 Memphis Tigers did not win a championship, and two games in the NIT don't qualify as lengthy or the kind of postseason run this region desires. The 2018-19 Memphis Tigers, though, will be a team this region of college basketball fans never forgets. The hiring of a Bluff City icon to coach the team proved to be an adrenaline shot to the heart of a not-quite-dead program, one that counted more empty seats than full on game nights under the watch of previous coach, Tubby Smith. A goose-bump-inducing pregame video (thank you, Running Pony) and a p.a. introduction straight from pro wrestling — "and coaching your Memphis Tigers, PENNNNNNNNY HARDAWAY!" — made game nights this winter major events before the basketball had been tossed for the opening tip. After averaging 6,225 in ticket sales for 19 regular-season home games in 2017-18, Penny's first team sold an average of 15,516 for 17 games. Hardaway is a master sneaker salesman. No penny loafers with his suits. But he proved to be a human cash register for a program swimming in red ink. And Penny had fun in his new, self-generated spotlight. At times, he punched beyond his weight class (for now). "Rick Barnes? Get the f**k outta here." Established coaches with highly ranked programs did not intimidate a man willing to hire a former NBA Coach of the Year (Sam Mitchell) as an assistant. Having kept a relatively quiet profile since retiring from the NBA a decade ago, Hardaway couldn't have been more receptive and open to the media, going so far as to pose for a selfie with an out-of-town fan who snuck his way into a postgame press conference. He appeared on ESPN segments and a feature in Sports Illustrated. 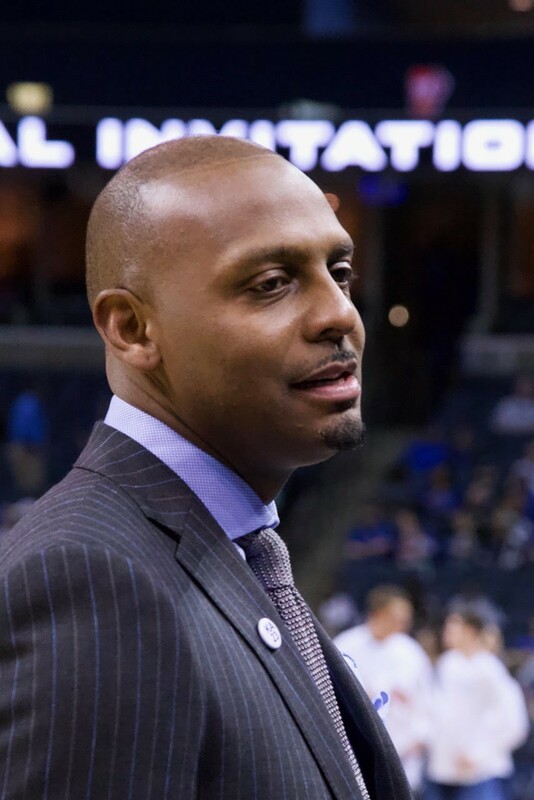 Hardaway made Memphis Tigers basketball matter again. What the Tiger legend didn't realize on opening night last November was that he was suiting up another Tiger legend in the making. In his last game for the U of M, Jeremiah Martin — like Hardaway, born and bred in Memphis — became the fifth Tiger to score 700 points in a season. Martin's coach was the second to do so, and Hardaway's coach (Larry Finch) the first. How's that for a cross-generational season for the ages? The same Mitchell High graduate who averaged 2.7 points as a freshman scored 41 in a single half and became the first Tiger to score 40 in a game twice. Martin finished his career as only the third player to reach the program's top ten in both points and assists. Can a player who never reached the NCAA tournament have his number retired? A few years down the road, Martin's case will be discussed. The Tigers lost all seven games they played against ranked teams. (Four of those teams have reached the NCAA tournament's Sweet 16.) They didn't belong in the Big Dance, and that's the standard by which Hardaway — and his myriad fans — will measure this program's growth. With the Gatorade National Player of the Year (East High center James Wiseman) on his way, Hardaway has signed one of the top recruiting classes in the country, and he'll need it. You have to go back to the 1993-94 season to find a Tiger team that had to replace all five starters. (One of those departed starters was Hardaway.) And the path to an American Athletic Conference championship won't get easier, not with Penny's program now a target for 11 other teams. Transition years are rarely comfortable, even when they double as a homecoming for a living, breathing civic treasure. Hardaway is now a veteran college basketball coach. He has a season to study his own growth as a leader, as the face of a movement. And find ways to get better. 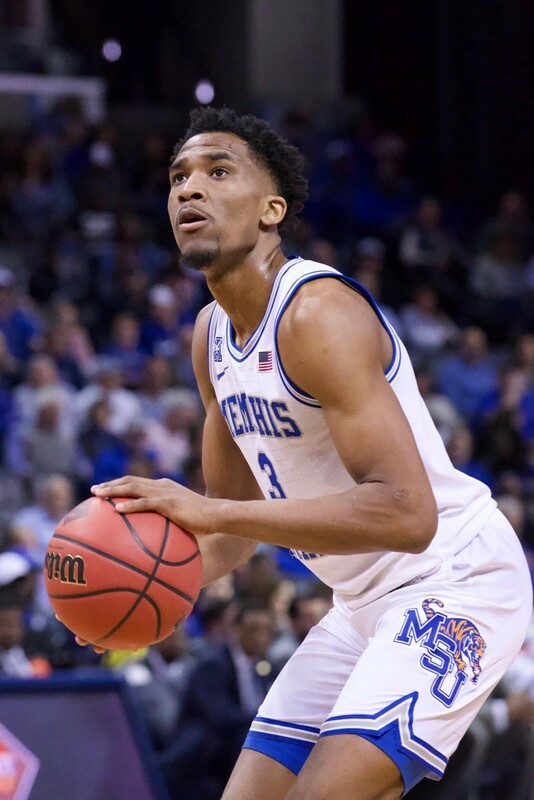 The guess here is that the 2019-20 Memphis Tigers will make an impact beyond the Mid-South. A fan base has been counting the days 'til Wiseman's debut since the big man signed. But the first order of business for next season's Tigers will be to match the community-wide delight brought by their predecessors. It'll be a tough act to follow.